How does homeopathy work? As yet it is not known. Several groups and individuals around the world are addressing the problem but so far no viable and testable hypothesis has emerged . Two lines of enquiry have the potential to be fruitful. One involves trying to understand the nature of homeopathic medicines themselves through physico- chemical studies. Unfortunately to date results have been contradictory and inconsistent . It is likely that in most cases apparent differences between homeopathic potencies and water alone are due to artefact effects. A lack of any idea of what to look for in homeopathic medicines that might distinguish them is no doubt hampering progress - however see experiments. The second line of enquiry involves an analysis of the range of curative responses seen with homeopathic medicines. Here more promising results emerge. For instance, an examination of so called homeopathic ”specifics“  such as the use of belladonna in scarlet fever or nux vomica in tetanus is revealing since the symptomatologies of tetanus and scarlet fever are known to be due solely to the protein toxins tetanospasmin and erythrogenic toxin respectively. 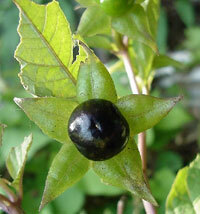 Likewise the symptomatologies of nux vomica and belladonna are very largely due to strychnine and atropine alone. This allows specific comparisons to be made between the action of medicinal agents and disease agents. For instance, whilst symptom similarity between the effects of strychnine and tetanospasmin are high, their biochemical modes and sites of action are very different (strychnine blocks receptors for the inhibitory neurotransmitter glycine on the postsynaptic side of synaptic clefts and tetanospasmin blocks glycine release on the presynaptic side). If homeopathically strychnine is able to treat tetanus it cannot be acting in any way that has a biochemical overlap with the disease. This must be true whether material doses or potencies (postulated to carry a memory imprint of original molecules ) are used. 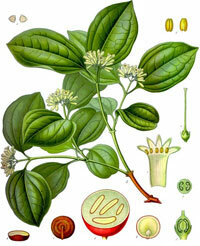 The same arguments can be applied to the use of belladonna in the homeopathic treatment of scarlet fever since although symptomatologies are very similar, atropine blocks muscarinic acetylcholine receptors whereas erythrogenic toxin is a super-antigen eliciting massive overproduction of lymphokines. The inescapable conclusion must be that since in both of the above examples the biochemical actions of medicine and disease causing toxin are different, the only basis of similarity is experiential. Homeopathic medicines may therefore in general have their basis of action in experiential modulation. This would be a novel and potentially radical approach to illness. It is possible that homeopathic medicines do not treat illness directly but treat the experiential state accompanying an illness. In so doing this may then indirectly affect the illness itself and aid resolution. This view is not without precedent. It is well known that experience of the same illness can vary considerably between individuals even though physical parameters are the same (a simple example is in the amount of pain experienced in osteoarthritis). The more severely an illness is experienced the longer its duration and the poorer the prognosis. In support of an experiential mode of action for homeopathy it is well documented that in acute illness the initial response to a homeopathic medicine is often one of feeling markedly better in oneself without any change in objective symptoms . The latter then begin to resolve shortly afterwards. In other words there is a time delay between experiential improvement and subsequent resolution of the illness. How homeopathy might produce an improvement in our experiential state and how this could then result in an improvement in the illness itself, is unclear at present, but opens the door to a more rational approach to homeopathic research. Sensitivity to homeopathic medicines varies from individual to individual and is particularly important in relation to provings or human pathogenetic trials since a high level of sensitivity makes for the best proving subjects. Importantly, factors which correlate with a high level of sensitivity to homeopathic medicines include sensitivity to other stimuli such as odours, touch, pain and sound . This raises the possibility that homeopathic medicines may have their site/route of action via sensory neurons. Hahnemann notes two interesting observations in the 5th edition of the Organon of Medicine . First he discusses olfaction as a particularly effective method of administering medicines. The second observation he makes is that effectiveness is a function of the volume of the dose. In other words a homeopathic dose dissolved in bulk water would be more effective than the same dose administered in drop or tablet form. The implications from both observations are that (nerves in) the olfactory and oral epithelia are particularly sensitive to homeopathic medicines and that the greater the surface area (number of nerves) stimulated the greater the response. Provings or human pathogenetic trials (HPT's) are best conducted with ”sensitives“ (people who appear to respond to virtually any homeopathic medicine given) because only then will the full range of experiential effects of medicines be displayed. A random cross section of the population are not a suitable study group  since a high proportion of those volunteers will produce no symptoms at all and the rest are likely to produce only small numbers of poorly differentiated symptoms reflecting their own low levels of sensitivity rather than the nature of the medicine itself. ”Sensitives“ are exceptional people and this highlights an important prerequisite of homeopathic studies- that until a theoretical framework exists it is essential that subjects and conditions are chosen that maximise effects wherever possible. This is true not only for HPTs but also for assessing the curative effect of homeopathic medicines. The normal criteria used to select subjects for clinical trials are unlikely to be those that will maximise homeopathic effects. This is because what needs to be measured and evaluated in homeopathy has not yet been clarified, but is unlikely to be the same as that which is measured and evaluated in conventional medicine. Whilst ”sensitives“ have a general sensitivity to homeopathic medicines, illness confers a specific sensitivity and it is this specific sensitivity which must be fully appreciated if convincing and reproducible results in clinical trials are to be obtained. Sensitivity underlies degree of response to homeopathic medicines and is dependent upon how intensely an illness is experienced. Subjects for a clinical trial should therefore be chosen firstly by matching their experiences as closely as possible (i.e choosing subjects with as similar symptoms and emotional states as possible) and secondly choosing subjects with intense experiences over those whose experiences (symptoms and emotional state) are mild. Such a selection procedure would tend to maximise the effect of a given medicine. Choosing subjects for a clinical trial on the basis of disease diagnoses is not a sound basis for assessing how effective homeopathic medicines are. How an illness is experienced is a much more reliable criterion. If homeopathy is a radically different approach to illness then the criteria used to assess effectiveness in mainstream medicine are unlikely to be transferable. Ultimately homeopathy can only be judged and its results understood in the light of its own theoretical framework. I hope the above discussion will go a small way to providing such a framework. Views expressed in this article are the author's own. Comments and discussion are warmly welcomed at steven.cartwright@oxford-homeopathy.org.uk. I have not included in this article any discussion of possible mechanisms of homeopathic action based on quantum entanglement (see for instance Milgrom, L. (2002) Homeopathy, 91, 239- 248; Hyland, M. E. (2005) Homeopathy, 94, 105- 106) primarily because, whilst intriguing, there is currently no evidence to support such a hypothesis. Walach, H. et. al. (2005) J. Alt. and Com. Medicine, 11, 813- 829 for a recent review of the evidence. Mathur, K. ( 1985 ) Principles of Prescribing, Jain Publishers, New Delhi. Belon, P. et.al. (2004) Inflamm. Res., 53, 181- 188; Schulte, J. (1999) Br. Hom. J., 88, 155- 160; Matthews, R. (2006) New Scientist, 8 April, 32- 37. Roberts, H. A. (1984) The Principles and Art of Cure by Homeopathy Jain Publishers, New Delhi. Correlates found using Cara, an electronic version of standard homeopathic repertories. Vickers, A. et.al. (2001) J. Alt. and Com. Medicine, 7, 141- 148 as an example of a randomized, double- blind placebo controlled trial failing to find evidence that mercury in potency produced significantly more symptoms than placebo in healthy volunteers. In order to view all downloadable files on this website, you will need to have Adobe® Acrobat Reader installed.